Next weekend, we expect that many of you will be trucking off to Manchester, TN for Bonnaroo, the annual live-music splurge and weekend in the sun. This year Phish are headlining and that’s a big deal, since last year it still looked questionable that the much-loved Vermont band would ever play again. To celebrate this week, and to hold you over till the big road trip, we have a Bonnaroo package marking the Rock Band debut of four major acts who’ll be playing there. And yes, Phish is one of them, with the version of “Wilson” from A Live One (the 1993 concert album where the song first appeared). If you think every Phish song is a half-hour jam, take note: Wilson is a punchy, five-minute rocker with some nifty guitar interplay by Trey Anastasio and Mike Gordon. Long a live phavorite, “Wilson” has already been reinstated in Phish’s live sets; appearing on the third night of March’s inaugural swing at Hampton Coliseum. Will it be played at Bonnaroo? Only four people know for sure. Ben Harper is another eclectic guy that we’ve caught in a rocking mood. In the past he’s done everything from country to gospel to sensitive acoustic music. But “Shimmer & Shine”—from his latest disc with his new band Relentless7—is heavy and loud with a distorted lead guitar and some drum fills that will give your feet a workout. 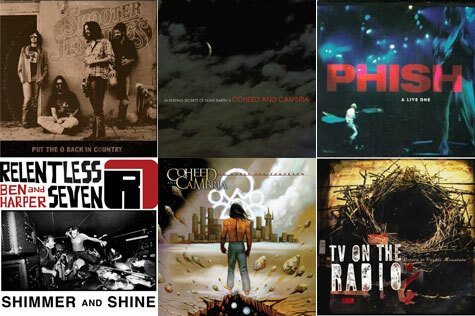 Coheed & Cambria have been with Rock Band since the beginning, and we’re glad to add a new pair of tracks this week. The band’s devoted much of its career to a multi-album concept work whose plot can’t be summarized here (mainly because we’re still trying to work some of it out ourselves), and last December they performed the entire four-album cycle in four cities, over four nights each. They now promise to play “an interesting set” at Bonnaroo. We wouldn’t doubt it. Get the latest DLC News, check out exclusive Artist Interviews with Rock Band artists, and read all the news on the Rock Band Network. Stay up-to-date on Rock Band game Announcements, check out Behind the Scenes stories from developers, and catch a glimpse into the game artists' Sketchbook. Follow our Community Team with Rock Band on the Road, listen to the Podcast, learn how to be a rock star with 52 Weeks, check out fellow fans in Fan Stories, or enter a Contest. Do you like podcast-exclusive news? This episode’s got it! Harmonix VP of Strategy and Business Development, Chris Rigopulos, sits down with us to chat about the ongoing strategy for the Rock Band franchise going forward through 2011, including EXCLUSIVE DLC news. Read more. 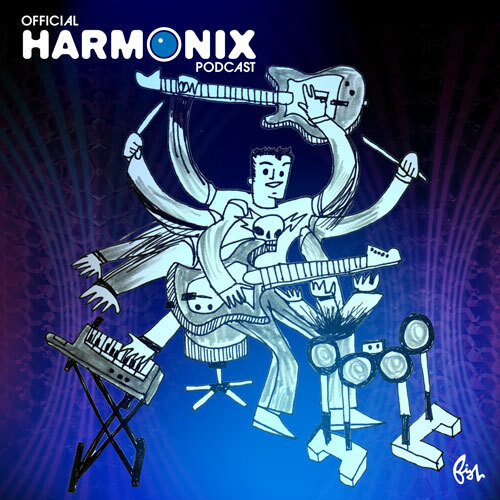 © 2007–2010 Harmonix Music Systems, Inc. All Rights Reserved. Harmonix, Rock Band and all related titles and logos are trademarks of Harmonix Music Systems, Inc. Rock Band and other related products and services developed by Harmonix Music Systems, Inc. Microsoft, Xbox, Xbox 360, Xbox LIVE, and the Xbox logos are trademarks of the Microsoft group of companies and are used under license from Microsoft. “PlayStation”, “PLAYSTATION” and “PS” Family logo are registered trademarks of Sony Computer Entertainment Inc. The PlayStation Network Logo is a service mark of Sony Computer Entertainment Inc. Wii and the Wii logo are trademarks of Nintendo. ©2006 Nintendo. EA and the EA logo are trademarks or registered trademarks of Electronic Arts Inc. in the U.S. and/or other countries. FENDER™, STRATOCASTER™, and the distinctive headstock and body design of the STRATOCASTER guitar are the trademarks of Fender Musical Instruments Corporation. All rights reserved. All logos, company names, brands, images, trademarks and other intellectual property are the property of their respective owners.